They could be right: LaFleur has been groomed under some incredible play-callers (Sean McVay and Kyle Shanahan), was a critical game-planning cog in some of the NFL's most explosive recent attacks (Rams and Falcons), and inherits the perfect cast of established weaponry to prove his offensive mettle. He'll bring an innovative and fresh attack to an offense that had been growing stale and dull, despite featuring arguably the best pure thrower in the league. Below, find a preview of LaFleur's overall scheme, as well as a prediction for how the Packers' pieces will fit in. If asked to list the NFL's brightest offensive coaches, Kyle Shanahan and Sean McVay would immediately come to most minds. In fact, in 2016 and '17, both Shanahan's Falcons and McVay's Rams respectively topped the league in total points. New Packers HC Matt LaFleur's fingerprints are all over both league-pacing attacks. In fact, since joining the NFL Ranks in 2008 at a ripe 29 years old, LaFleur has only known Shanahan and McVay offenses. 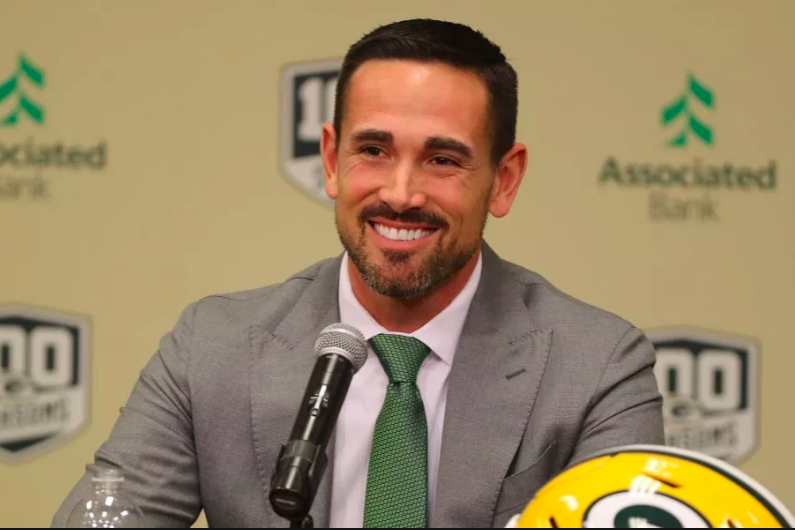 The new Packers HC began his NFL journey as Shanahan's Offensive Quality Control coach with the Texans, and Kyle was so impressed with LaFleur's work that he carried him along to his next gig in Washington, this time promoting LaFleur to QBs coach. The pair worked together for six more total seasons in these respective roles, which included four years with the Redskins, followed by two more in Atlanta. LaFleur's track record during this time is staggering. As the QBs coach, LaFleur played a massive role in Robert Griffin's creative usage and 2012 Rookie of the Year campaign, in which RGIII established Redskins rookie records in pass completions (258), passing yards (3,200), passing touchdowns (20) and rushing yards by a quarterback (815). LaFleur was also Matt Ryan's QBs coach during Ryan's career-best, MVP season (4,944 yards, 38 touchdowns, and 117.1 quarterback rating). The coach also drafted and groomed Kirk Cousins, and, despite working with Rex Grossman and a washed up Donovan McNabb in his other seasons, has only seen one attack tally below 4,000 total passing yards (Griffin's ROY season, conveniently enough). Unsurprisingly, Shanahan has nothing but praise for LaFleur. When asked last offseason if LaFleur was ready to call his own plays as he transitioned to the Rams' OC, Shanahan replied: "Yeah, he's been ready for a while. "They’re getting a hell of a coach," Shanahan continued. "Matt understands the game. He played college quarterback. He knows a lot about that position. He knows the run game, he knows the pass game, he knows how to tie them together." We'll dive into this "tying together the pass and run games" more below, as this is the backbone for Shannahan, McVay, and now LaFleur's systems. This is what has made Todd Gurley, and Devonta Freeman the year prior, such indefensible monsters. 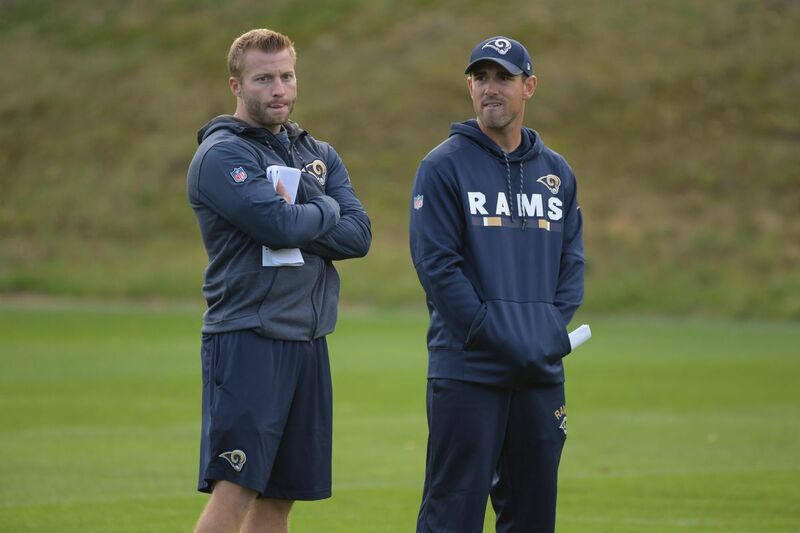 Though McVay was the primary play-caller during their 2017 season together, LaFleur was reportedly integral in game-planning and often relied upon in key situations. Just like Shanahan, McVay has nothing but praise for his former OC. “I think he’ll be great,” McVay said of LaFleur. “Matt is a great coach. It is a big loss for us... Matt is a great teacher, a great leader, a great motivator. I think he sees the game from the quarterback’s standpoint just from his history of playing... He’ll do an excellent job putting guys in the right spot." All the "grooming" in the world can't guarantee independent success, though. Whether or not LaFleur will live up to his coaching lineage remains a major question mark. -Marcus Mariota suffered an elbow injury that forced him out of many contests and had him unable to throw 15+ yards in many which he played. Ultimately, the offense ranked 27th in total scoring (19.4 per game) and 29th in passing (pathetic 3255 yards), but also finished an encouraging 7th in total rushing (2023 yards) thanks to an epic late-season surge from Derrick Henry. As we dive into below, LaFleur's system is supposed to be highly vertical. So when Mariota, "literally could not throw more than 15 yards... it presents a whole new set of challenges and totally changes your game plan... you have to navigate around that." Unsurprisingly then, the Titans finished with the fewest deep-ball attempts and 30th in completions of 20+ yards. This isn't all written as a LaFleur hall-pass or apology. He certainly made plenty of play-calling blunders in his debut. LaFleur's offense centers around one goal: merging the running and passing games so the attack is a well-oiled, unpredictable machine. "Certainly we're going to have a foundation in place of how we run our system. I think it's a system that's really predicated on building the run game with the pass game. We like to have plays, we like to say plays that start off looking the same but are different, plays that play off of plays. It lessens the predictability of what you're trying to do, and it keeps a defense more off-balance. "First of all, it really all starts with our run game and having plays that play off our run game..to a defense it might look like, ‘Oh, here comes another run,’ and it’s a play-action pass off that run or whatnot." So... expect a marriage of the run and passing games. Just like a real life partnership, a successful "marriage" between the run and pass games couldn't be achieved without commitment and production from both "parties." In stark contrast, over that same span, Green Bay has ranked 31st (35.8%), 25th (38.7%), and 32nd (32.5%) in Run Play percentage. Rodgers has never benefited from a "balanced" attack and the unpredictability that this can create. Though Rodgers' total volume may decrease, the quality of these looks could increase dramatically. Beyond the sheer quantity of run-plays, LaFleur utilizes a variety of creative run formations and concepts. Whether knifing through defenses with the inside and outside zone games, or stretching them wide with jet sweeps and end arounds, his run game is relentless and attacks from every angle. With this run-game "spine" in place, LaFleur gets defenses selling out, consequently opening up serious space for misdirection and chunk YAC plays. Though I'm anxiously awaiting the 2018 data, screens were a staple for McVay and LaFleur's 2017 Rams. That season, Jared Goff threw for the third-most yards in the NFL off screens (308), trailing only Drew Brees and Andy Dalton. Goff's 29 screen-pass completions – on 30 attempts – were fourth-best in the league. In looking at NFL's "Next Gen Stats," Mariota's low Air Yardage totals suggest the screen was once again a heavy LaFleur staple. As seen in the tape, LaFleur dials up screens all over the formation and for every position. He frequently used motion and play-action to get the defense shifting one way, before turning to the opposite field where only green space and blockers awaited. With PFF's seventh-best line and a variety of run-after-the-catch beasts, Green Bay is well-equipped for LaFleur's screen-obsessed attack. The key piece, of course, is Rodgers who's never called or been wholly successful with screen throws. In addition to screens being a major part of the "run / pass game marriage," play action is another staple. Establishing a strong running presence forces safeties and linebackers to cheat into the box, ultimately opening up gaps down the seams and in the screen game when they bite on the fake. Moreover, less coverage secures one-on-one chances for WRs on the outside. Even amidst Mariota's banged up 2018, the Titans were obsessed with play-action, ranking third with a 29.8% play-action percentage. Fittingly, McVay's Rams were one of the only teams utilizing play action more frequently (34.6%). Dating back even further, LaFleur used play-action a staggering 42 percent of rookie Robert Griffin III's dropbacks during his rookie season, per PFF. Matt Ryan also led the league in play-action passing during his 2016 MVP Season, and its long been a staple of Kyle Shanahan's attack. Point being - LaFleur loves the play action and knows how to execute these concepts at the highest level. 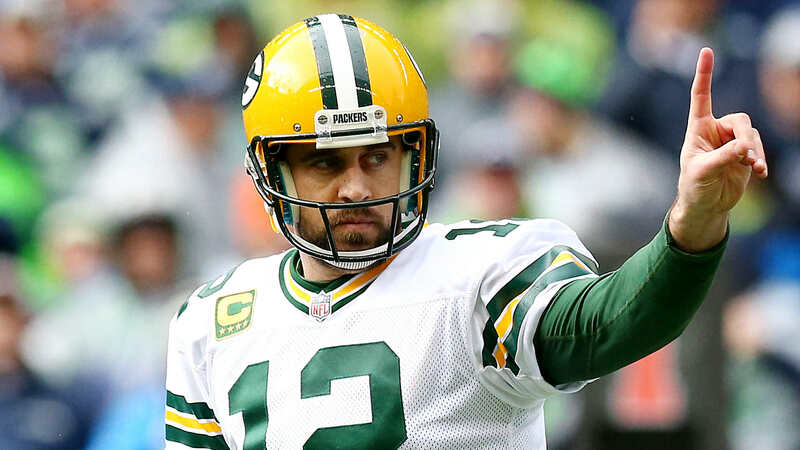 Contrastingly in 2018, the Packers and Rodgers ranked just 25th in play-action percentage (18.6%). Apparently, this isn't just one down year, as the Packers have reportedly been among the worst play-action passing teams for the last decade. In general, LaFleur aims to not only be unpredictable, but also aggressive. As mentioned, Mariota's Week One elbow injury hampered LaFleur's ability to dial up the deep ball, but he loves going deep when able. "It’s extremely difficult to dink and dunk all the way down the field. Defenses are just too good," LaFleur said. "Statistically, the teams are getting the chunk plays -- the explosives -- are the teams that are going produce more yards and more points." Back in 2017, Rams often had a home run option baked into their play. They would use bunch formations, tight receiver splits, and the aforementioned play action to break guys free for the deep ball. With Aaron Rodgers, LaFleur will inherit his most talented deep-ball artist yet. For all his faults in 2018, Rodgers remained masterful at uncorking the long-ball. He trailed only Patrick Mahomes for deep yardage, while his 124.0 passer-rating on deep throws ranked third in the NFL. This was without a play-action game holding down safeties and slowing down the pass rush. In summary, expect LaFleur to bring an offense intent on merging the running and receiving game through screens and play-action passing. From here, LaFleur will capitalize on defenses "biting" to stop the run-game and short-passing offense with a bevy of deep, downfield throws. This will all springboard from a well-established running game, in addition to highly unique bunch and jail-break formations. *Note - LaFleur has only called his own plays once, with a banged up Marcus Mariota. In his attempt to merge the receiving and run games, LaFleur's offense will feature oodles of play-action, screen-passing, and calculated deep shots. Ball-security is paramount despite seeking the "chunk play," so interceptions often remain low. The key is high-completion percentages and rhythmic timing to allow the screens and play action to unfold while the defense is constantly scrambling to play catch-up. 2019 Outlook – Can LaFleur Make the Most of Aaron Rodgers? As should be abundantly clear, LaFleur's main goal is creating unpredictability through screens and play-action passing that "marry" the run and passing games. Imagining the possibilities of Rodgers in a McVay-style scheme is truly drool-worthy. We've seen this offense squeeze out MVP and career-bests from Matt Ryan, who'd been in the league eight years prior to working with LaFleur. Similar late-career magic could await Rodgers. Still, Rodgers will need to succeed in two areas he's either struggled or been minimally utilized: the screen and play-action passing games. This entire offense is founded upon a strong commitment to the run, something Rodgers' ego has never allowed in Green Bay. As such, both the screen and play-action options have been minimally used or effective in Green Bay. Will Rodgers be willing to check himself and change his style of play for a first-year head coach? As of now, the signs are encouraging. Prior to being hired, LaFleur had a lengthy phone conversation with Rodgers. Soon after LaFleur and Rodgers wrapped up, the new-HC received a call from team president Mark Murphy, presumably following the QB's seal of approval. “I cannot wait to get to work with him,” LaFleur said of Rodgers. “I think he’s equally excited. There’s a lot of work to be done in front of us, but I’m just looking forward to that opportunity. Rodgers will also enjoy, and thrive with, LaFleur's love for the deep-ball and consistent usage of calculated deep shots. For all his faults in 2018, Rodgers remained masterful at uncorking the long-ball. He trailed only Patrick Mahomes for deep yardage, while his 124.0 passer-rating on deep throws ranked third in the NFL. This was without a play-action game holding down safeties and slowing down the pass rush, and Rodgers could become an even more effective deep passer with more complementary football round him. The Packers hired LaFleur because they felt he would challenge and reinvigorate an elite talent who's grown complacent. Though the success of this intriguing QB-HC pairing hinges largely on a diva-QB fully "buying into" a completely new system, the ceiling is also limitless if they can reach McVay-Goff levels of synchronicity. Working in their favor is LaFleur's previous experience as a college and semi-pro QB; he truly understands the game from the QBs eyes. Consider this hire a Stock Up for Rodgers, as the ceiling is undoubtedly raised, even if the floor is admittedly now lower. As explored, LaFleur is heavily tied to the Shanahan Tree, an offense which operates best with an "Alpha Target Hog" X-Receiver on the outside (think -Julio Jones, Andre Johnson, and even Pierre Garcon for stretches). This style of WR will be peppered with a bevy of intermediate, YAC-creating routes that churn a defense down, before attacking deep for the explosion plays, vacuuming looks and attacking defenses at every single level of the field. Though his production was hindered by lackluster QB play, sophomore WR Corey Davis nearly doubled the next closest weapon in targets (Dion Lewis' 67 looks). WR screens are also a staple. As seen in LA, LaFleur will move his WRs all over the spot, using bunch formations, tight receiver splits, and the aforementioned play action to break guys free for the deep ball -- a homerun option often seemed baked into every play. Behind Alpha WR1 Davante Adams, the Packers depth-chart presents little outside of untapped athleticism. So let's start with Adams. 2018's top WR in FPPG (18.3), Adams absolutely flourished in his first year without Jordy Nelson as the new apple of Aaron Rodgers' eye. Adams himself is a rangy 6'1" with a combine-leading vertical (39.5), creating an absolute Red Zone terror, especially with a QB who can place the ball wherever he wants; unsurprisingly, Adams ranked second in the league with 13 TDs thanks to an NFL-best 31 Red Zone targets, marking the third straight year with 10+ scores. Yet, as one of Rodgers' only reliable weapons, Adams' usage wasn't just restricted to inside-the-20, with the elite wideout ranking second in the league in overall targets (169). Expect the heavy volume to remain under LaFleur. Adams will be moved all over the formation, benefitting from LaFleur's heavy usage of bunch formations (and the pick plays they create), plus WR screens to constantly shake free for his patented slants. With continued steady volume in this scheme, as well as the ability to run every route and attack all layers of the field, Adams will once again be in contention for the No.1 WR spot in fantasy. Behind Adams, the WRs corp are complete question marks. As currently composed, the 6'3", 4.4 Forty Marquez Valdez-Scantling presents as the most ideal fit for downfield play-action balls if he can find some consistency. Any athlete this freakish playing alongside Rodgers at least warrants late-round dart throw consideration. Meanwhile, Geronimo Allison began 2018 hot, with 15.4, 9.4, 14.6, and 11 FPs as the clear-cut No.2 before suffering a groin injury that would shelve him the rest of the season. He could be a sneaky blow-up bounceback candidate that flies under the radar. He fights hard for the ball in traffic, can play the sideline well, and is consistently reliable in the intermediate areas. Plus, his rangy frame and strong vertical make him a consistent Red Zone threat. All-in-all, the Packers seem likely to remain the Adams Show, with both Allison and MVS warranting late round stabs in case LaFleur's scheme truly explodes to '17 Rams / '16 Falcons levels. Over the past three seasons, LaFleur's teams have deployed hideous TE committees with minimal production. Of course, losing Pro Bowl TE Delanie Walker in Week One last season didn't help matters, and all of these teams have notably lacked any semblance of talent at the position. In the years prior with Washington and Houston, LaFleur saw plenty of quality TE usage. Owen Daniels, Chris Cooley, and even Fred Davis served as the clear-cut No.2 targets in their offenses, behind only an Alpha Hog. In fact, Daniels and Davis both were on 1,050+ yard paces before their injuries. In general, if the talent is present, the TEs have been used frequently off play-action, gaining chunk 15-20 yarders down the seams. TE screens are also frequently called. On the negative, TEs have seen their usage decline near the stripe, where LaFleur's teams grow decidedly more run-heavy. 2019 Outlook – Any Hope for Graham? Since Rodgers took over in 2008, the TE-position has largely been irrelevant in Green Bay with maybe 2 useful seasons from Jermichael Finley across these 11 years. Though this may be scheme-related, LaFleur hasn't exactly been a TE-whisperer, either. 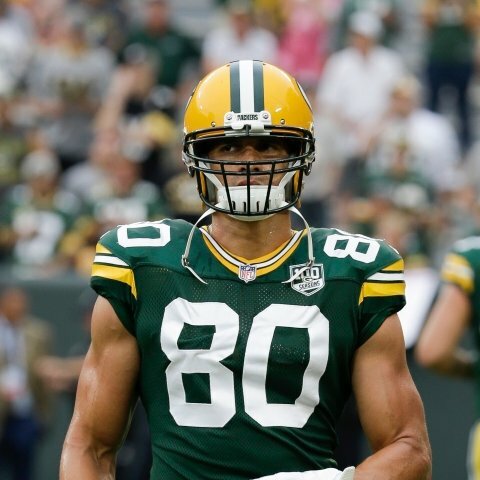 Thus Jimmy Graham, fresh off a highly-disappointing Packers debut, doesn't offer serious bounceback appeal. Graham has never been much of a run-after-catch threat, and projects as a poor fit for LaFleur's heavy usage of screens. Moreover, Graham no longer displayed the ability to get vertical down the seams, making him an unlikely major threat even in such a play-action centric attack. He'll be nothing more than a later round dart throw. "It all starts with the running game"
Not only will rushing volume in LaFleur's scheme be of high quantity, but also of high-quality. Hailing from the "Shanahan Tree" alongside Kyle and McVay, LaFleur's run-game will be founded upon a Zone Blocking Scheme. With proper execution, this system creates massive lanes and allows backs with vision and acceleration to excel. Additionally, beyond knifing through defenses with the inside and outside zone games, LaFleur utilizes a variety of creative run formations and concepts. He'll also stretch teams wide with jet sweeps and end arounds. Ultimately, this system all hinges upon a relentless run game that attacks from every angle. With this run-game "spine" in place, LaFleur gets defenses selling out, consequently opening up serious space for misdirection and chunk YAC plays. He dials up a bevy of screens and pass-routes for his backfield, and has had an RB reach at least 54 catches in three straight seasons. In short, LaFleur's offense always has, and will likely continue, to funnel through his backfield. The volume is equally as impressive as the ability to get his RBs into the second-layer of the defense, and 35% or more of this total offense should come from the backfield. 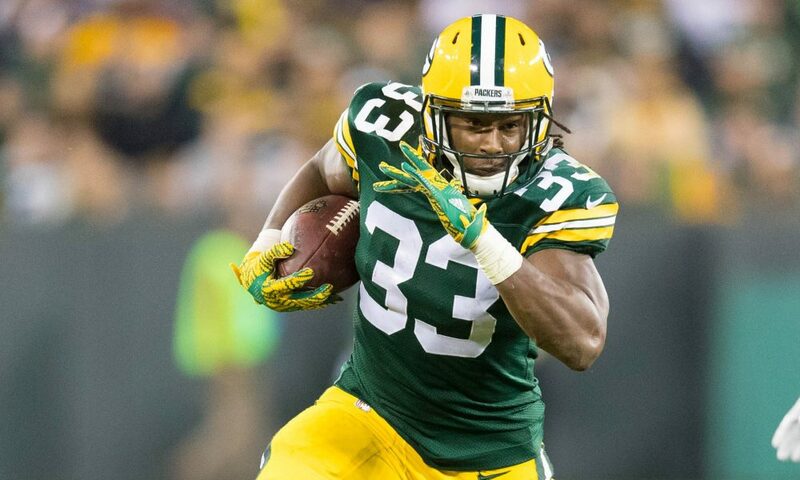 Aaron Jones: Finally Set to be Unleashed? Though not the sole reason for his firing, Mike McCarthy's inexplicable misusage of Aaron Jones in back-to-back seasons undoubtedly played a major role in his departure. Get this: among players with at least 200 career rushing attempts, Jones ranks first in NFL history in yards per carry (5.5), hitting that exact 5.5 YPC in back-to-back seasons. Yet, he has never once hit 20 carries in a single game. Jones second-ever contest -- a 19 carry, 125 yard, 1 TD effort -- still remains his career high in usage. In fact, Jones would have scored 308 FPs (19.3 FPPG), which would've trailed only Todd Gurley, Saquon Barkley, Christian McCaffrey, and Alvin Kamara in 2018. Conveniently, the RB1 in LaFleur's offense has touched the ball 15+ times in 42 of the last 48 games (87.5%). This is no surprise, considering LaFleur's entire offense hinges on establishing a run-game to then create unpredictability. Finally, Jones can expect to see far more consistent volume in 2019. As both the efficiency stats and just one look at his tape suggest, he'll undoubtedly thrive, particularly with the space he'll find with LaFleur's Zone Blocking and screen game. Jones is incredibly explosive, and has the acceleration and vision to thrive in a one-cut-and-go style blocking scheme. According to his Scouting Report, Jones' strengths include: “Good vision”, “Lateral burst gets him outside the tackles quickly”, and “Always seems to find the best opening." Aka the formula for a Zone Blocking masterpiece. Indeed, LaFleur's seeming "misusage" of Derrick Henry will also give some pause. This would be a mistake. LaFleur tried to get Henry rumbling early, feeding the big back 11, 18, and 18 touches through three weeks. Henry was simply running soft, limping out to 273 yards and 1 TD on 84 carries (3.3 YPC) in the season's first half. Henry credits a Bye Week pep talk from Eddie George with finally awakening him for the season's stretch, including his dominant, fantasy title-bringing four-week run to close 2018. Fittingly, once Henry started to rumble, LaFleur did not hesitate to hand him the entire backfield reigns. Expect Jones, who's always produced at elite levels when given the chance, to thrive and never look back. The Individual Talent fits the scheme like a glove, and the Usage is about to go up more than ever before. The RB1 Explosion is coming. While new Packers HC Matt LaFleur has only one (underwhelming) season as a true play caller (2018 Titans), there's plenty of room for optimism here. LaFleur has has been groomed under the NFL's two brightest young offensive minds in Kyle Shanahan and Sean McVay, and was dealt a raw hand in Tennessee with injuries to his QB, both tackles, and the team's 2017 leading receiver all in Week 1. Though his floor may be low and the track record short, LaFleur's long-term upside is sky high. Priority No.1 will be gaining full buy-in from Aaron Rodgers. LaFleur was reportedly brought in to challenge and spark the uber-talented, but recently complacent Rodgers, and this innovative version of the "Shanahan / McVay System" should provide plenty of fire. In order to achieve LaFleur's primary offensive goal of "marrying the run and pass games," Rodgers will need to embrace the most run-heavy offense of his career, in addition to improving his play-action and screen passing. If this HC / QB marriage does prove strong, forging a McVay / Goff level of bond, Rodgers will threaten for Fantasy's No.1 QB spot; LaFleur's extensive track record as a QBs coach (Matt Ryan, RGIII, Kirk Cousins) and history playing the position provides plenty of hope. Still, the largest fantasy gainer has to be Aaron Jones. This entire offense depends upon establishing the run-game, and Jones should be in line for, by far, the highest and most consistent workload of his brief but tantalizing career. Jones has averaged 19.3 FPs per contest when receiving 15+ touches, and LaFleur's top-backs have reached this threshold in 42 of his last 48 games (87.5%). Beyond the sheer volume, the Zone Blocking Scheme fits Jones' running style and strengths, chiefly his vision and ability to accelerate on a dime, to perfection. This, as well as the Screen Game, should afford Jones plenty of space, where he is most dangerous. Few are as dangerous once they reach the second level of the defense, and LaFleur excels at getting his RBs knifed through. 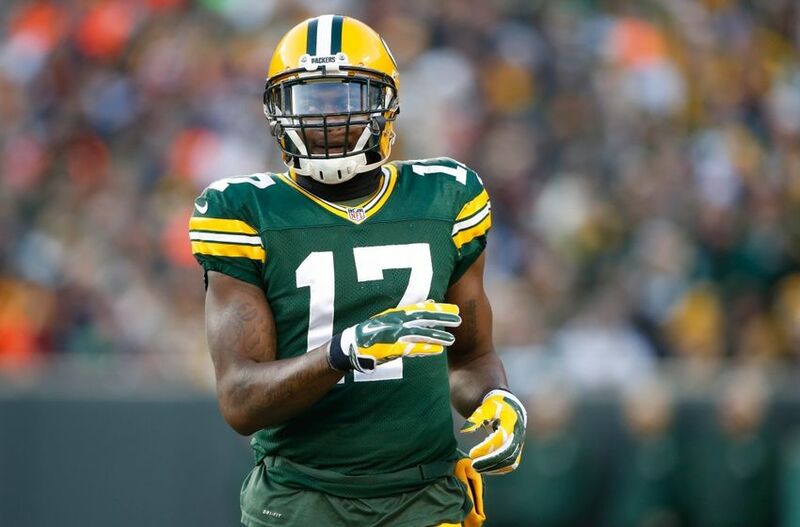 Beyond Jones, expect Davante Adams to once again threaten to finish as Fantasy's No.1 WR. The "Shanahan" system frequently establishes an "Alpha X" WR, and Adams has the route-running, athleticism, and sure hands to dominate at every single layer. He should once again top 160 targets en route to 90+ catches, 1300+ yards and 11+ TDs. Behind him, both Geronimo Allison and Marquez Valdez-Scantling come with serious and discounted upside, but are far from certain. In a system that has never prioritized the TE, Jimmy Graham offers minimal appeal. Yes, LaFleur could once again underwhelm and prove to be much more "game-planner" than "play-caller." Still, with a year under his belt, one of the game's elite QBs, an explosive weapons cabinet, and one of the top lines in football, LaFleur is in a far better position to excel. The new-look Packers offense, remodeled in the McVay / Shanahan blueprint, is undoubtedly one of 2019's most exciting fantasy storylines. Expect Adams, Jones, and Rodgers to thrive.